You could say that young men light fires and older men sit around and bask in their glow. 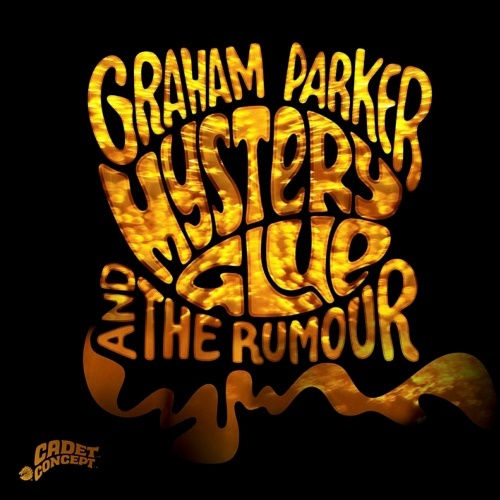 As younger men Graham Parker and The Rumour certainly lit a fire under the pre-punk, pub rock scene and could be forgiven for now sitting around and warming themselves in front of past glories. The key word there is could, as Mystery Glue, like their previous return to glory, Three Chords Good, is a cracker of an album. Reminiscent of the more casual moments of their earlier career and imbued with a more Dylan-esque vibe in places, the original line up shows that they still have what it takes and if at times you can hear a chilled out Springsteen, a balladeering Elvis Costello and any number of punk and post punk templates, it is because Graham and the boys were often the source material, the unwitting patrons to a generation of musicians that would go on to redefine music. And if the likes of Slow News Day plays with humour, swing beats and mellow interludes, there are more than enough old school driving rock outs such as Swing State and Railroad Spikes to remind you of where it all began. This is soulful British R’n’B at it’s best, and because soul now seems to equate to the likes of Sam Smith and the term R’n’B has been appropriated by girl groups far more interested in dance routines than creativity, GP&TR are needed more than ever.